Hey! I haven’t dropped off the face of the earth 🙂 I’m back with a cooler, nicer website… hope you like it! 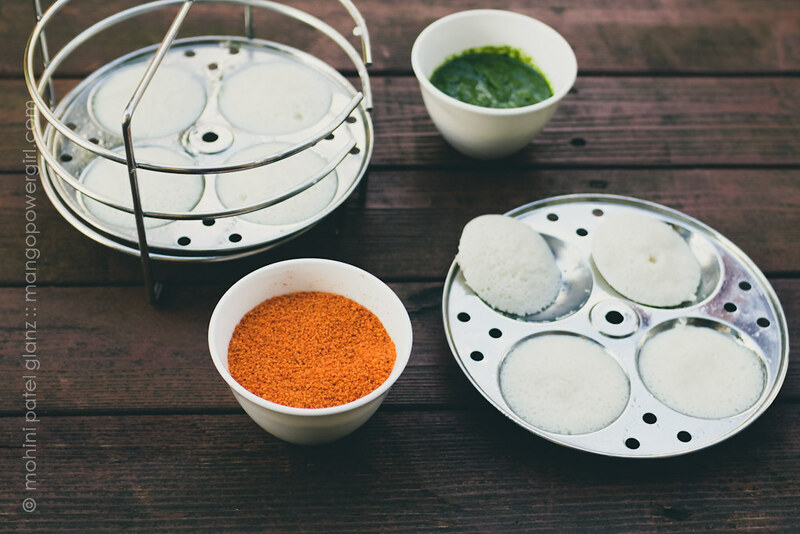 I almost never get a chance to photograph idlis when we cook them because we love eating them hot! This is one time I managed to shoot them, so here they are… the photos kinda remind me of the Indian flag. I would love feedback, comments, suggestions, and of course if you notice any glitches or anything broken I’d love to hear. 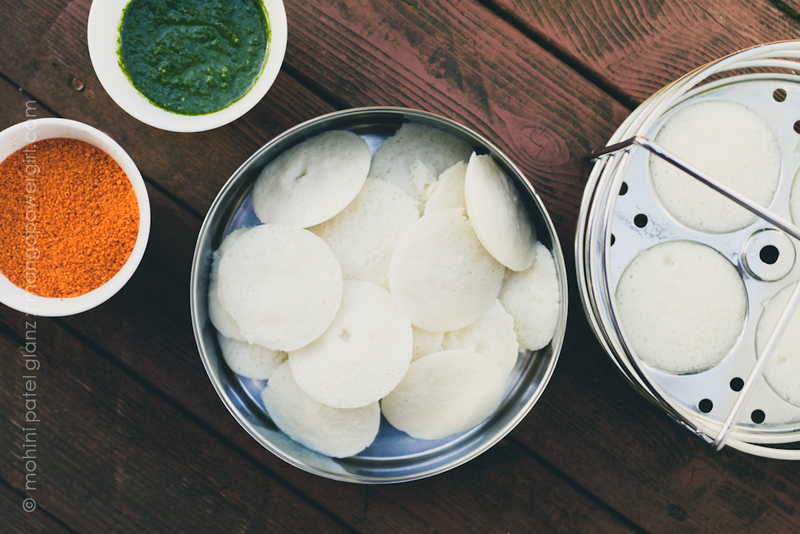 Anytime all time comfort food…..love that podi….which looks vibrant…. This new look is so cool. 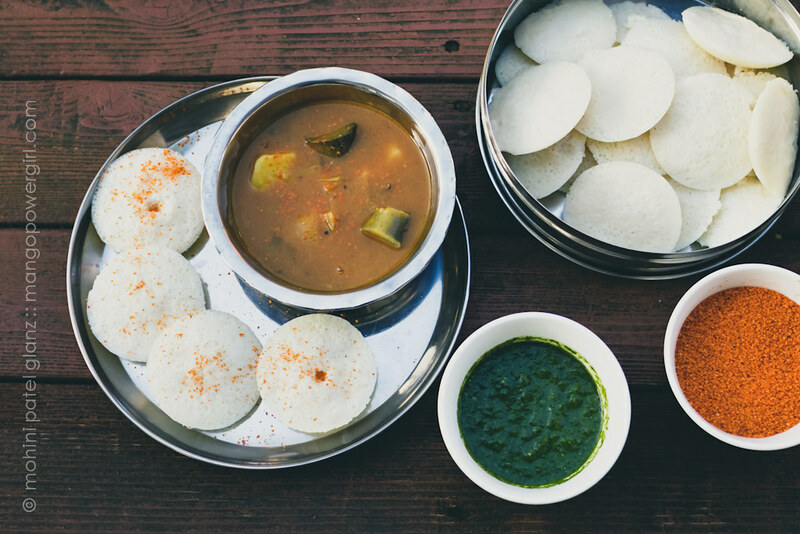 Everything looks so apetizing , the green chutney looks as fresh as mint. Mo ! Congrats, the new swanky website is absolutely fantastic ! Loving it. So glad to see back, if I missed your birthday … wish a belated happy birthday babe, hope it was good.